Not really a harvest. More like an exercise in getting our planting seed back for next season. Results were disappointing. 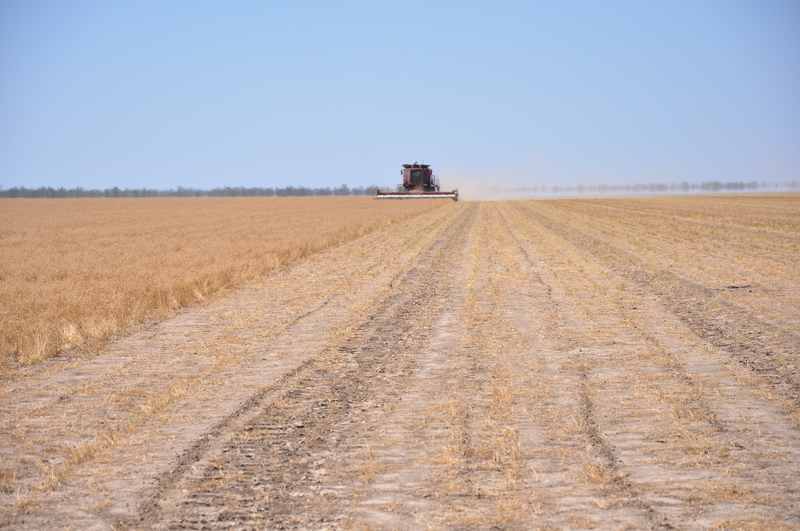 Both wheat and chickpeas were planted on limited moisture – enough to get a start, but most failed with tough drought conditions. The very light crops were almost ripe when the rains came. 70 to 100 mm fell early November – too late to do any good. Fortunately we only planted 25% of our country. This picture below represents the best of our chickpeas this season at 0.75 t/ha. 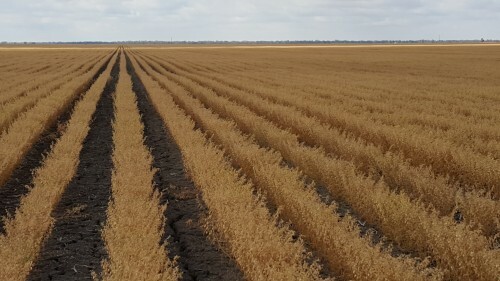 It appeared to be a reasonable crop, but many aborted empty pods, and single seed pods cut yields in half. Please send me some information about chieakhpea harvester same as catalog and so on.